Erin Brockovich was a law clerk and environmental activist. She is credited with helping residents recover a $333 million settlement against Pacific Gas & Electric for contaminating water supplies with poisonous hexavalent chromium. That was in 1996, today we are looking for the next Erin to help us expose Bayer Monsanto — we are looking for a Monsanto whistleblower. Glyphosate, the active ingredient in Roundup and RangerPro weed killers, is the most widely used herbicide on the planet. Many cancer patients and consumers don’t know, however, that it is found in many of the foods we eat and the water we drink. It’s even in our beer. And that’s not good because the State of California and the World Health Organization say it probably causes cancer in humans. Many leading cancer specialists believe there is a link between glyphosate and certain deadly cancers such as non-Hodgkin’s lymphoma, myeloma and leukemia. If you or a loved one were diagnosed with one of these cancers – or if a loved one recently passed away because of one of these cancers – and you regularly used or were exposed to glyphosate products, keep reading. Although this post is aimed at Monsanto whistleblowers, we represent cancer victims as well and this post has important information relevant to both cancer patients and company insiders thinking about blowing the whistle. Glyphosate, N-(phosphonomethyl) glycine, is the most widely used herbicide in the world. Glyphosate is the active ingredient in products such as Roundup, RangerPro, Rodeo Aquatic Herbicide, and Eraser. Originally developed by Monsanto, it is today manufactured by a number of companies. Glyphosate is a broad-spectrum weed killer that targets broadleaf weeds, grasses, and woody plants. It is absorbed through green plant tissue such as leaves and stems. Many experts believe it is also absorbed through human skin, although Monsanto and its parent company Bayer, claim it is safe when used as directed. Since the record verdict, many more lawsuits have been filed. Law360 reported that Monsanto faces 8,000 lawsuits over its glyphosate based weed killers. As of 2019, that number is now believed to be 11,200. The case involving groundskeeper DeWayne “Lee” Johnson is bittersweet. Although he won the lawsuit, he is likely to die before he ever sees a penny of the money. His family, however, will be well cared for. Overnight, DeWayne’s victory has created a cottage industry of products liability law firms hoping to educate the public over the dangers of Monsanto Roundup and to sign up clients who may be suffering from the effects of exposure to these dangerous products. More on DeWayne’s brave fight against giant Bayer Monsanto below. In a second case, a federal jury awarded Edward Hardeman $80 million after finding his non-Hodgkin’s lymphoma was likely caused by his exposure to Roundup weedkiller. Unlike DeWayne Johnson who used the product daily as a professional groundskeeper, Hardeman was a homeowner who simply used the product around his yard. There are thousands of other cases awaiting trial but Bayer refuses to budge. Many of the victims suffering from cancer will likely die without ever seeing a penny at this rate. And that is why we are seeking a Monsanto whistleblower, someone who worked or once worked inside the company and has knowledge of efforts by the company to manipulate studies, tamper with lab results or simply hide scientific information about the safety of glyphosate and Roundup. Why a Monsanto whistleblower? Because companies lie. Whether you call it a lie, corporate doublespeak or an omission, we think that many big companies lie. The US EPA appears to agree with him although emails obtained in discovery suggest that not everyone in EPA agrees that glyphosate is safe. The International Agency for Research on Cancer, part of the World Health Organization (“WHO”), disagrees, however, as do many European and South American countries. A 1994 WHO monograph found that glyphosate was probably safe for humans when used as directed. And that brings us to the need for a whistleblower. Unlike many law firms that rely on discovery and detective work to prove their cases, we go far beyond. We also seek company whistleblowers. As a whistleblower law firm, we have become quite adept at finding insiders. Most companies are filled with honest, hardworking people who want to do the right thing. That isn’t always easy. Some companies deter whistleblowers by demoting or even firing them. And a few really bad apples actually sue whistleblowers on trumped up charges of trade secret theft or violating company privacy policies. Really what these companies are doing are trying to deter other would be whistleblowers. They want to make an example out of whistleblowers so that everyone in the company becomes too afraid to step forward. Sooner or later, truth has a way of coming out. Our hope is to find the truth before any more families have to suffer the loss of a loved one or the pain and anguish that comes with battling cancer. Some of the biggest prosecutions in US history started because of a brave whistleblower. Our $16.67 billion recovery against Bank of America? That case started because of three brave whistleblowers… A former executive of Fannie Mae, a Bank of America senior vice president and a front line real estate appraiser. None of the three knew one another but they all knew something was very wrong with the way their employer was behaving, all had a tremendous sense of right and wrong and all came to the table with a piece of the puzzle. So, if there may not be any awards, why come forward? The answer is simple. We represent both corporate whistleblowers and victims of corporate greed. Even if we can’t obtain an award, your information may be valuable to dozens or hundreds or thousands of victims. Most law firms take depositions and subpoena documents hoping to find the smoking gun email. Often that is like finding a needle on a haystack. Unfortunately, many big companies do everything to make sure those smoking guns are deeply buried or destroyed. Someone, however, somewhere usually has a copy of a tell all memo or a story to tell. We do things differently by always building our cases on the inside whenever possible. If we can’t get you an award, we may still be able to still use your information – confidentially – to help others in need. DeWayne Johnson is one o f11,000 people claiming their lives were ruined by glyphosate. Did Monsanto know this chemical was carcinogenic? Did they suspect it? Someone knows the answer and we think the answer is yes! What did Monsanto do? According to the testimony at the trial, they hired their own expert pathologist to review the kidney slides. That doctor apparently convinced the EPA of “false positives” and that the slides were not accurate. Instead of performing a new study, however, it appears the EPA simply invalidated the old study. Coming forward may save lives, is the right thing to do and will insure that you made a difference to society as a whole and to a family suffering because a member of that family has lymphoma or myeloma or leukemia. If you have information about glyphosate or any other dangerous products, call us. Confidentiality assured. All inquiries protected by the attorney – client privilege. or by phone at 414-704-6731 (direct). Never call from a work phone or email using is a work computer or email account. If you believe you have suffered serious health effects from using a pesticide or herbicide, contact us immediately. We believe many of these products are far more dangerous than people think or that Monsanto would have you believe. We believe that products containing glyphosate can kill you even if you follow application instructions. 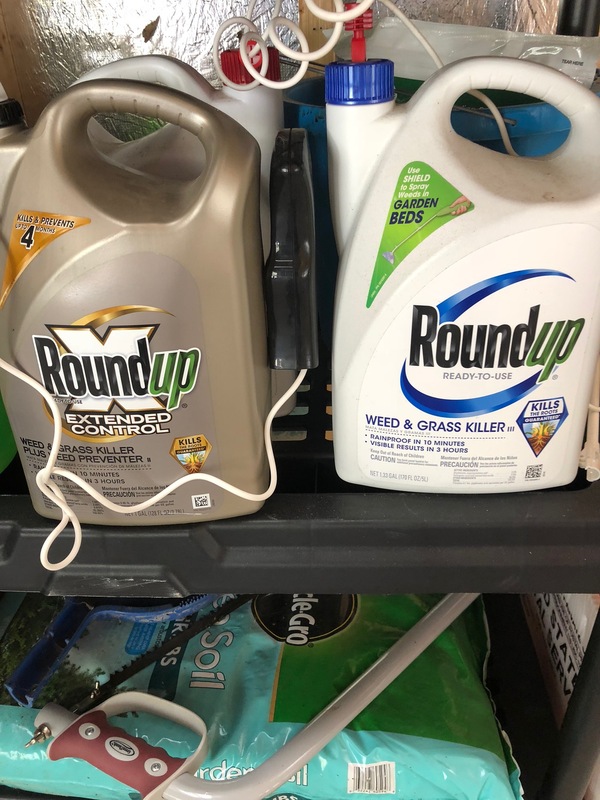 Despite Monsanto’s claims to the contrary, many experts believe that the glyphosate used in Round Up and other popular weed killers is carcinogenic. There is a suspected link between the chemical and myeloma, non-Hodgkin’s lymphoma and leukemia. Companies like Monsanto can he held liable for injuries and damages attributable to bad or unsafe products. That includes being responsible for products with improper warning labels or instructions. DeWayne “Lee” Johnson, the victim slated to receive $289 million, suffers from lymphoma (cancer). At trial he testified that as a groundskeeper, he sprayed 150 gallons of Ranger Pro per day on several school campuses 20 to 30 days per year. At times he was covered in it, something that can easily happen on a breezy day. Johnson also testified that when he attended an optional safety course, he was told that Ranger Pro was safe enough to drink. A number of competing experts testified in the trial. One of DeWayne Johnson’s expert was a National Institutes for Health scientist. In the end, jurors believed Johnson’s experts over those hired by Monsanto. We anticipate that Monsanto is not going down without more of a fight. Companies losing large jury verdicts typically try to attack both the finding on liability and the award. Assuming an appeals court upholds the verdict, Monsanto will likely go to the Supreme Court. And at the same time, they will attack the size of the award. In this case, that award was $39.5 million in compensatory damages and $250 million in punitive damages. Sadly, this means DeWayne Johnson may not see a penny of the recovery. Although we think he will win the appeals, the cancer may have killed him before the case is over. And the bills from his cancer treatment could leave him and his family penniless. News media was quick to report on DeWayne Johnson’s epic win against Monsanto but few journalists went digging through the weeds (poor pun intended) to ferret out some of the fascinating highlights of DeWayne Johnson’s case and the history of glyphosate. This story is based on court records. Although Monsanto denied many of the allegations in the case, the jury sided with Johnson. Visit our Monsanto Roundup resources page for more in depth behind the scenes coverage of other cases against Monsanto. Monsanto is the leading producer of glyphosate in the world. That may be why the company is so interested in fighting claims about the product. Glyphosate is especially popular because Monsanto used genetic engineering to produce crop seeds resist the deadly chemical. That means farmers can spray the chemical directly on their crops. The weeds will die but the crops remain safe. The combination of Roundup and roundup resistant crop seeds has helped Monsanto grow into a multi-billion dollar business. By 2010, 70% of the corn crops and 90% of soy crops in the United States were Roundup Ready. Glyphosate was developed by a Monsanto scientist named John Franz in 1970. Within a few years it was being sold as safe and super effective against weeds. By 1985, the US Environmental Protection Agency was considering classifying glyphosate as carcinogenic. Monsanto balked and instead pressured the agency and flooded them with contrary studies suggesting the product was safe. The EPA backed down. To this day they don’t label glyphosate as carcinogenic. But two of the labs that did the work for Monsanto were accused of fraud. So just how dangerous is Roundup and what does Monsanto know? If the EPA wouldn’t act, however, some states began to question the safety of glyphosate. Without admitting any wrongdoing, the company agreed to stop make such claims about its glyphosate products but only in New York state. In 2009, a French court ruled that Monsanto made misleading statements about Roundup in France. Roundup is Monsanto’s most profitable product. We expect the company will fight at any cost to keep selling its products in the United States. Like rearranging the deck chairs on the Titanic, Monsanto keeps telling US consumers that the product is safe even while other countries such as the Netherlands, France, Columbia, Sri Lanka, Bermuda and Brazil are trying to ban or have banned its use in those countries. There is plenty of evidence that Monsanto’s Roundup is not safe and causes cancer. (Some doctors also believe it causes a whole host of other medical problems too.) But despite 11,000 lawsuits, we are aware of no smoking gun… Yet. By smoking gun, we mean an internal test report or lab report in Monsanto’s possession acknowledging the dangers of Roundup. Do we think that any Bayer Monsanto executive would spread glyphosate on their food like table salt and feed it to their kids? Of course not! Assuming there is a smoking gun, it will most likely be a scientist working for Monsanto or someone who worked at one of the two outside labs used by Monsanto that were accused of fraud, Industrial Bio-Test Industries and Craven Laboratories. We are looking for actual studies showing the dangers of glyphosate and proof that Monsanto possessed those studies or information. We are actively seeking a Monsanto whistleblower as well as people who may have been exposed to Roundup, Ranger Pro or other Monsanto glyphosate products and later developed certain type cancers. If you are a former or present employee of Monsanto or one of its labs and have inside information about the dangers of glyphosate and wish to become a Monsanto whistleblower, call us. All inquiries are confidential. We desperately need information – or even where to look – about the dangers of Roundup and Ranger Pro. If you or a loved has cancer Lymphoma, non-Hodgkin Lymphoma, Myeloma, or Leukemia and have a history of exposure to Roundup at home or at work, you may be entitled to substantial damages. Our case review is free and without obligation. If we take your case, we never charge attorneys’ fees unless we win and you receive compensation. Roundup and Ranger Pro are the number one weed killers in the world. Annual sales are in the billions. Yet the World Health Organization claims they are carcinogenic and may cause serious cancers such as lymphoma, myeloma and leukemia. The company says they are safe. Recently a California jury awarded a former school groundskeeper who suffers from non-Hodgkin’s lymphoma $289 million. The jury believes he contracted cancer through exposure to Roundup. New York sued the company in 1996 over ads that claimed the potent herbicide was safer than table salt and suggesting the product could be used where children play. Monsanto, maker of Roundup, pulled the ads in New York but continued to claim its product was safe. The World Health Organization says otherwise and many other countries have banned or restricted its use. If you were exposed to RoundUp and have myeloma, lymphoma or leukemia, you may have a claim against Monsanto and its distributors. Damage claims can include: Medical bills, Future anticipated medical bills, Pain and suffering, Medical Monitoring, Lost wages including future lost wages. And in some cases, punitive damages. If you are a cancer victim previously exposed to Roundup or a Monsanto insider, visit the web address below for important information or contact us directly. The number is on your screen. This short video contains a special message for present or former Monsanto employees or people who worked at laboratories that did testing for Monsanto. Specifically, we are looking for insiders or whistleblowers with information about the safety of Monsanto’s Ranger Pro and Roundup herbicides. A jury recently awarded a former school groundskeeper who suffers from non-Hodgkin’s lymphoma $289 million in damages. The jury believed he contracted cancer through exposure to Ranger Pro. Monsanto continues to claim Roundup and Ranger Pro are safe. In fact, they intend on appealing the verdict. Media reports claim that two of the labs doing testing on roundup were implicated in serious fraud and we believe the company unfairly influenced – if not misled – the EPA. Despite Monsanto’s claims that Roundup is safe, the World Health Organization says otherwise and many other countries have banned or restricted its use. We are concerned about the thousands of people suffering from myeloma, lymphoma or leukemia. Those cancers are a death sentence for many people. We are looking for information that shows the company knows that Roundup is unsafe. We are also looking for information that can establish when Monsanto knew or suspected that the product was unsafe or may be carcinogenic. Although we would love to speak with you, any information is better than nothing. If you must, you may email us documents or information anonymously at the address on your screen. We do hope, however, that you call us. All inquiries are kept strictly confidential. You can call the EPA, you can call Monsanto’s Alert Line or you can call us. I think you know that we will make sure your information is put to good use. With your approval, your information will also be shared with regulators.